إذا كنت تبحث عن فندق بموقع جيد في مارجريت ريفر واين ريجيون، فقد وجدت ضالتك في منتجع مارجاريتس بيتش . يسهل الوصول إلى هذا الفندق ذو 4 نجوم من المطار، فهو يبعد عنه مسافة 330km فقط. كما يمكن الوصول بسهولة إلى Surfers Point, مصنع زانادو للخمور, المحميات الطبيعية رقم 8431. في الفندق غرف نوم يتجاوز عددها 54، كلها مجهزة بعناية وجمال وبعضها مزود بـ تلفزيون بشاشة مسطحة, كرسي عالي للأطفال, رف للملابس, قهوة فورية مجانية, شاي مجاني. يقدم الفندق مجموعة واسعة من وسائل الراحة المتنوعة، كمثل: تأجير معدات الرياضات المائية, دروس في الركمجة, ساونا, مسار جولف - ضمن 3 كم, حمام سباحة خارجي. إن منتجع مارجاريتس بيتش هو خيار ذكي بالنسبة للمسافرين إلى مارجريت ريفر واين ريجيون، بما يوفره من إقامة هادئة ومرحة. accommodation was fully equipped, comfy 2bedroom apartment with a d3cent size kitchen and living area.however Wi-Fi might be alil eccentric during my stay but might be due to bad weather in the region. nice area to relax, just a 10 to 15min drive everywhere. Thank you for your review. Unfortunately weather does play havoc with wifi sometimes. So glad you enjoyed your stay with us. This is the best place to stay in Prevelly. It's near the famous surf breaks and the Elephant Cafe which has views that rival any cafe in the world. Lee and his staff went out of their way to accommodate our needs. They are all wonderful. Hello Scott, thanks so much for your fantastic feedback and delighted you had such a great stay with us! We hope you will come back another time. Nice Hotel, just about 10 mins drive from Margaret River city area. The rooms are clean, kitchen stuff are complete like plates, cutleries, microwave, etc. They have washing machine and dryer too. Bathroom is spacious. Towels are clean. Staff is very friendly. We got room with ocean view. Satisfied visit to this hotel. Hello Kasman, delighted to hear you had such a great stay with us - we hope you will come back another time! Close enough to the great white elephant cafe and the beach. Simple, clean, with a small balcony and washing machine for people looking for a chilled beach holiday. Staff is very friendly and helpful! Hello Yu, thanks for submitting a review of Margarets Beach Resort and delighted you enjoyed your stay with us so much. We hope you will come back another time! Nice views, cool small restaurant and a beach nearby. It’s really a hotel with the benefits of an apartment when it comes to facilities like laundry machine, and a kitchen. I’d highly recommend to anyone traveling in the region. Hello Omri great to get your feedback about your recent stay at Margarets Beach Resort and many thanks for your recommendation! We hope to see you again. A lovely stay with great facilities. The view was amazing and the suite was extremely clean. The kitchen facilities were nice to have but we were too busy enjoying the restaurants in MR. Would stay again but learned that we preferred being closer to town and not having to drive 20 minutes to MR. Totally a personal preference. The suites are lovely- especially the top floor rooms. It looked like a great option for families. Hello Jessie, so glad you enjoyed your stay with us so much and thanks for feedback. Room was huge with a balcony facing the sea. Full kitchen facilities. Bed comes with heat blanket which is a huge plus for the cold night. One comment about the water heater, the heat is inconsistent during the shower. Other than this, everything is perfect. Hello, thanks so much for your feedback and delighted you had a great stay with us! We hope you will come back another time! The hotel staff Stefanie was very helpful and thoughtful to have grant our request to allocate our apartment just opposite the sea view. The sea view is simply amazing and beautiful with sunset. Both the resort staff Ms Stefanie and Mr Lee were very helpful and courteous and shared with us the many places of interest around the Margaret River. The 2 bedroom apartment we stay is spacious, fully furnished and well kept clean and tidy, with all the essential facilities. The kitchen and the utensils were clean and in tip top condition ready for cooking. The only thing to consider is the location which you will need to drive in as it is near the beach area and travel by public transport will not be feasible..
Hello James, thanks for taking the time to submit a review of Margarets Beach Resort and we are delighted you enjoyed your stay so much! You are correct, to appreciate our beautiful coastal location you do need a car as public transport in the area is limited. We hope you will come back and stay with us again soon! Good place. Drive roughly 7km and you will reach Margaret River town area, there are Coles over there which operates till late(8/10pm). Got a few bottles of wines and had a good drink at the balcony. Quite costly if were to stay for a few days. Got sufficient parking lots to be used. Got general utensils and a good kitchen. Staff was friendly but not proactive in recommending places to go. Do head down to the beach near to the White Elephant, a cafe which alliance with the resort, for your breakfast. Wonderful beach for surfing. 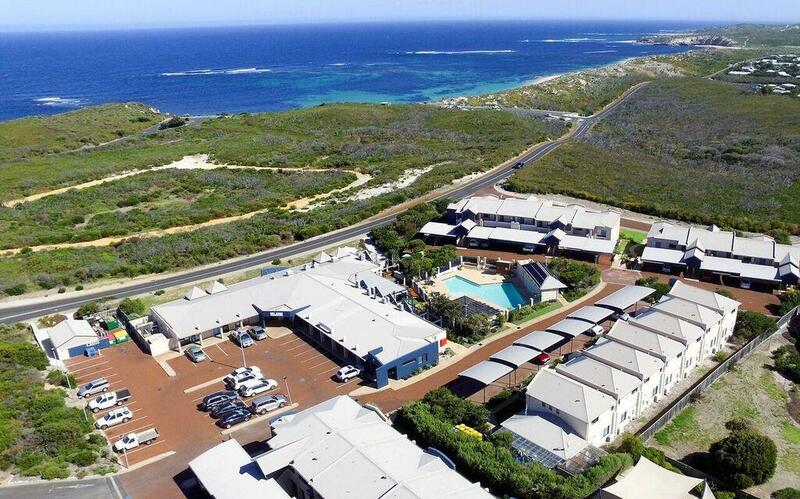 Resort is strategically located in between Augusta and Busselton. Our plan for the day was to go down south Augusta for Cape Leeuwin Lighthouse before heading back up North for Leeuwin State, Cullen Wines and Vasse Felix. The Thai restaurant (corner lot) near Margaret River town area is a good place to eat during cold weather at night. Hello Lee, thanks for submitting a review of Margarets Beach Resort and so pleased you had a wonderful stay with us. We hope you will come back again another time. The room assigned to us is corner unit, with balcony and garden courtyard, room is spacious, clean and completed with utensils and amenities. 15 minutes walk to beach and there is a cafe named "The White Elephant" that offer breakfast and lunch. Will come back again in next visit. Highly recommended. Beautiful location, near the beach, 2 bedroom unit has everything you need for a trip away from home. Staff very helpful. Will stay again if we go that way again. Superb. Did not use any facilities, too cold fro swimming. We arrived fairly late at 630pm, after visiting the vineyards in Margaret river. The reception was friendly and had upgraded us from a studio to a 2-bedroom. The rooms were very clean, spacious and very comfortable. Beds had electric blankets and we had very good sleep on them. The rooms are equipped with cooking pots and utensils, so you can cook here. However, you will have to get your own oil, salt and pepper. The only thing I would change is the rectangular handles on the drawers and cabinets which can be quite sharp. I think the best part is that grand ocean views are just round the corner from the resort. For example, at white elephant cafe near gnarubup beach, ocean view road and the surfer's point look out. The ocean views simply take my breath away. You don't really have any shops nearby so you will have to stock up from the supermarket in town before going over. There is one restaurant at the resort. However, you may need to drive out a distance if you do not want to eat there for dinner. I think having a car is quite necessary if you want to stay here. We used the resort as a base to move out to several vineyards, up north and down south. It is also quite close to the sunflower farm, which my daughter really enjoyed. Overall, the resort is conveniently located for our needs. Very comfortable stay and near to great ocean views. Will come back again. pleasant weekend getaway. love early morning walks on the beach and enjoying the sunset right at our doorstep. facilities were clean and spa was very relaxing. not too far from margaret river town centre and wineries. The view and overall location impressed me. The beach was closed by and we were given a room with nice views. The apartment is well equipped and great for family holidays. Lastly, the overall location is pretty near the town centre (10km) drive. V enjoyed it. Family had a great time cooking up a great dinner. V slept comfortably blankets w heater too. Everythg u need is here. Washing machine works fine, techician came over quickly to repair a faulty washing machine door. customer service, location and cleaniless. Excellent customer service. given clear instructions to after hours keys pick and thank you for upgrading our room on the day! Been a regular customer and will definitey be back! close to the margaret river town and beach and wineries. Such a beautiful apartment resort in a location with some spectacular views. The apartment was clean and comfortable. Pool area was well maintained. Staff were friendly and helpful. Very close to the beach and surrounding bushland is great for walks. Restaurant was pleasant and the food great. Recommend you try them!